You are here: Home » Artist » CMA Predictions—Who Will Take Home The Trophies? CMA Predictions—Who Will Take Home The Trophies? 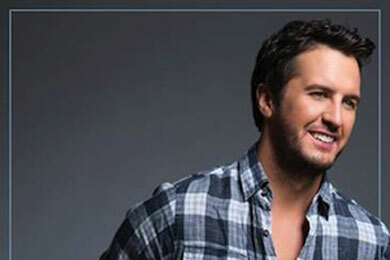 Luke Bryan is up for three awards tonight. Just for kicks, MusicRow writers Sarah Skates and Jessica Nicholson weigh in on the possible winners of tonight’s trophy fest. Stay tuned to musicrow.com later to find out the actual winners. Click here to review the list of nominees and winners announced earlier today. Jessica Nicholson: Miranda Lambert—Lambert heads into the 48th annual CMA Awards with a whopping nine nominations, including the most coveted honor, Entertainer of the Year. As the lone female nominee, Lambert has the stats. Platinum became her fifth consecutive album to debut at No. 1 on the Top Country Albums chart, and the project has earned gold status. Her headlining Platinum tour launched in 2014, while her Certified Platinum tour will hit nearly 30 cities in 2015. Every nominee is deserving of this honor, but it’s Lambert’s time to take home the top prize. Sarah Skates: Luke Bryan— The laid back Georgia boy with a megawatt smile is the definition of entertainer. Bryan maintained momentum on all fronts this year. On the road he conquered stadiums and shook his hips in front of a million screaming fans. On the charts he scored five consecutive No. 1s and kept his album Crash My Party in the Top 5 for a noteworthy 65 weeks after release. Leading nominee Miranda Lambert earned nine nods. Nicholson: Miranda Lambert—Lambert could make history tonight if she takes home her fifth consecutive win in this category, passing the tie set by Martina McBride (a fellow nominee) and Reba, who have earned this honor four times each. Lambert has the sales numbers and touring stats to break the record. Skates: Carrie Underwood—Underwood is a vocal powerhouse—can I get an Amen?! She is a consistent hitmaker who records high-quality material. And despite her good-girl image, she doesn’t shy away from darker songs (“Two Black Cadillacs,” “Blown Away”). Her latest single, the religious “Something In The Water,” shows she is up for experimenting with production and proves she’s not afraid to make a statement. Nicholson: Luke Bryan—Every nominee in this category is very deserving. Shelton continues pumping out chart-topping songs and sold-out concerts, not to mention keeping Country music visible as a coach on NBC’s The Voice. Church’s album sales and touring consistently rank among the top in the genre. Urban is one of Country’s most exciting live acts, and his risk-taking on latest album Fuse paid off handsomely. This would mark Bentley’s first win in the category, but his years of relentless touring and chart-topping singles have made him a reliable hitmaker and a radio favorite. Even with such stiff competition, this year has seen Luke Bryan rise from arenas to stadiums, and his album Crash My Party has been one of the best-selling. Look for Bryan to take home his first CMA Male Vocalist trophy. 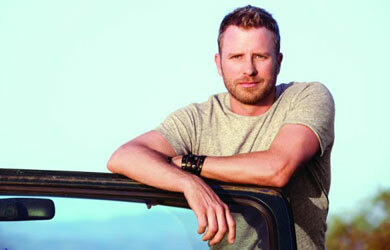 This morning, Dierks Bentley and Director Wes Edwards won the CMA Award for Music Video of the Year. Skates: Dierks Bentley—Bentley has never merged critical and commercial success on a single album as seamlessly as he does on his latest, Riser. This excellent project melds the two worlds with pristine balance, venturing from the upbeat sing-along of “Drunk On A Plane,” to the down-and-out wallow of “Bourbon In Kentucky.” The album yielded two chart-toppers “…Plane” and Song of the Year contender “I Hold On.” Mark my words, this marks a new era of his career. Skates: Platinum, Miranda Lambert, Produced by Frank Liddell, Chuck Ainlay and Glenn Worf—Lambert’s musical tour de force exemplifies modern Country music at its absolute finest. It two-steps from the sounds of the genre’s heritage (“All That’s Left”) to its boundary-pushing current state (“Somethin’ Bad”), mixing in plenty of pop influences along the way. It makes cultural observations (“Babies Makin’ Babies” and “Automatic”) but, in classic live-and-let-live Lambert fashion, reserves judgement. Nicholson: “I Hold On,” recorded by Dierks Bentley, written by Dierks Bentley and Brett James—Song of the Year is given to the songwriters, and all of these compositions warrant inclusion in the category. Dierks Bentley and Brett James’ superb writing on “I Hold On” was at once personal for artist-songwriter Bentley, while universal enough to appeal to fans from all walks of life. The song got plenty of radio airplay as the leading hit from Bentley’s Ross Copperman-produced Riser project, and was certified Gold. Skates: “Automatic,” Miranda Lambert, written by Nicole Galyon, Natalie Hemby and Miranda Lambert—The reminiscent tune is full of flowing imagery, fond memories and a wistful yearning for the days of laundry on the line, pocket watches, and hand-written letters. Lambert wins again with this song that is equally, and unusually, loved by critics and fans alike. Nicholson: Cole Swindell—Swindell’s career has seen continued growth since releasing his first single in 2013. He notched two chart-topping songs in the past year. “Chillin’ It” has been certified Platinum by the RIAA, while “Hope You Get Lonely Tonight” has been certified Gold. Swindell not only co-wrote both of his chart-topping hits, but hits for Florida Georgia Line, fellow New Artist of the Year nominee Thomas Rhett, and Luke Bryan. After opening for Bryan’s tour in 2014, Swindell will headline his own Down Home Tour later this month, to support his forthcoming Down Home Sessions EP, and head out on Jason Aldean’s tour in 2015. Skates: Thomas Rhett—Given his major success with “Get Me Some of That,” it’s tempting to label Thomas Rhett as another Country “bro,” but don’t sell this charmer short. His music has more breadth and depth than some of the genre’s leaders, look at his song “Beer With Jesus,” and the mellow “Make Me Wanna.” He’s also an in-demand songwriter for other stars. During the eligibility period, he had more weeks at No. 1 and more track sales than any other nominee in the category.